Our employees have a lot of different hobbies and passions. And we love to support them, especially when they are connected with one of the most important values – saving human lives and education. 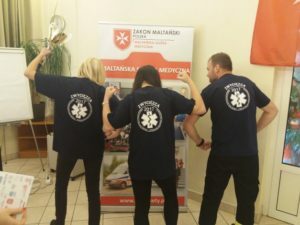 So when we got an offer to support International Rescue Competition, organized by local department of Order of Malta, we didn’t think too long. 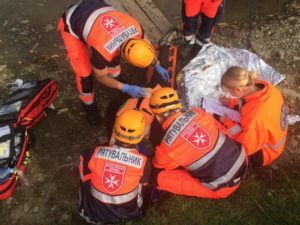 The main goal of The International Rescuers Competition is to develop knowledge and skills in the field of first aid and to give rescuers the opportunity to check themselves in real-based situations. 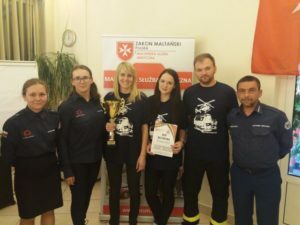 Through this event Order of Malta wants to promote the idea of first aid and volunteering. 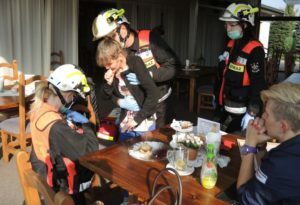 The competition is based on theoretical and practical tasks, all of them are being judged by professional paramedics. The first of edition of this event took place 5 years ago, in 2012. During the last weekend, we had a pleasure to support 8th edition with 16 teams from different countries. We are very happy to share with you the pictures from this event. The Things Network and Thaumatec beat the world record - LoRaWAN packet received at 702 km distance!